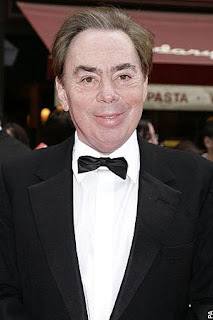 The man behind "The Phantom Of The Opera" was diagnosed recently with prostate cancer. The 61-year old musical genius is fortunate that the cancer was caught in its early stage. Sir Andrew Lloyd is now undergoing treatment and will be back at work at the end of the year. Aside from "The Phantom of the Opera", his other works are "Cats", "Jesus Christ Superstar", "Evita" and "Joseph and the Amazing Technicolor Dreamcoat." Webber's latest project is the sequel to The Phantom of the Opera titled "Phantom: Love Never Dies." Love Never Dies will open at the West End in 9 March 2010, 11 November 2010 in Broadway and in Australia in 2011. Get well, Sir Andrew Lloyd! hi, i've just done updating your link here at allinkorea. Hmmm...nice blog here guy! I'm not good at singing but I love listening to music so i'm glad that I came here.